Is a 1997 Sutphen Mini-Tower with a 70+ foot tower ladder. 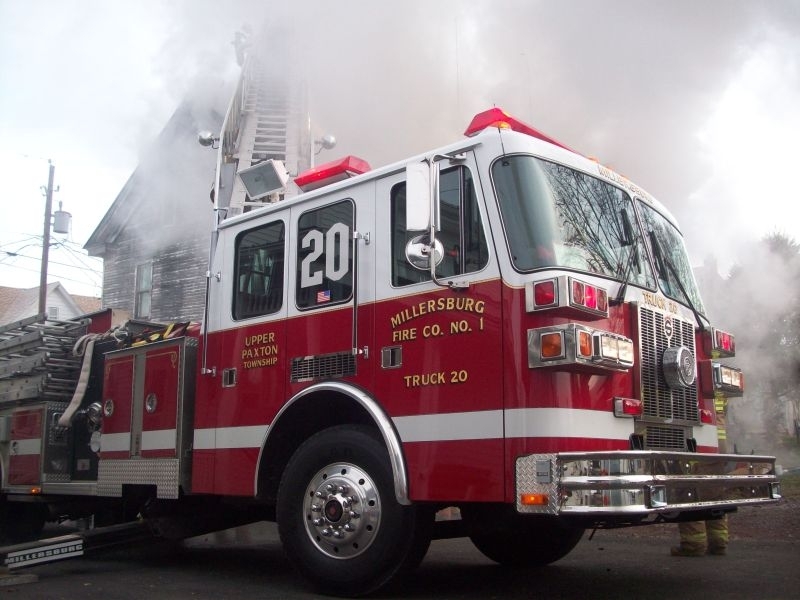 Truck 20 has a full complement of ground ladders and in addition, a 1,500 GPM Hale pump with 300 gallons of water. Truck 20 has 4 saws on board (1 Partner Circular, 2 Cutter’s Edge and 1 Husqvarna chain), a full set of hand tools in the bucket and numerous pike poles and hooks. Truck 20 also carries 1,000 feet of 5” hose, 800 feet of 3” hose and 2 pre-connected hand lines. With a proper supply of water, Truck 20 can flow 1,500 GPM from the two nozzles in the bucket (750 GPM from each nozzle). Truck 20 has seating for 6 and is equipped with 5 Scott NxG2 air-packs. Here is the official statement from the NWS State College on the Millersburg severe weather event. Dauphin County Pennsylvania on April 15, 2019.
marked the end of concentrated wind damage. mainly to differentiate them from tornadic winds. 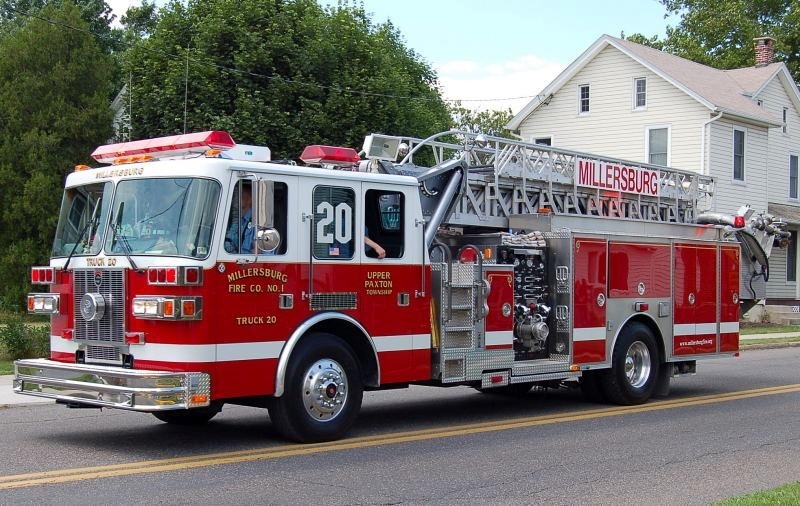 Monday, April 15, 2019 at approximately 00:55, the Millersburg Fire Company began a long night of responding to several calls in the Boro as a result of storm damage. The hardest hit buildings were the Hebron United Methodist Church and Ark Safety. Major structural damage occurred at both of those locations and trees down on River Street damaged vehicles and a house. Other damages occurred the apartment building at Center and Market Street as well as other isolated areas. Fortunately no injuries were sustained in this storm and work was underway quickly to control the areas for safety of the public. Officials from Dauphin County met with the Emergency Management Coordinator later that day to survey the damage and record data and photos that were sent to the National Weather Service. At this time no determination hs been made regarding the storm by the NWS. Thanks to all who assisted and offered assistance. Thank you for your outstanding service in our communities!